New Liturgical Movement: St Ann Choir Christmas Events in Palo Alto, California. 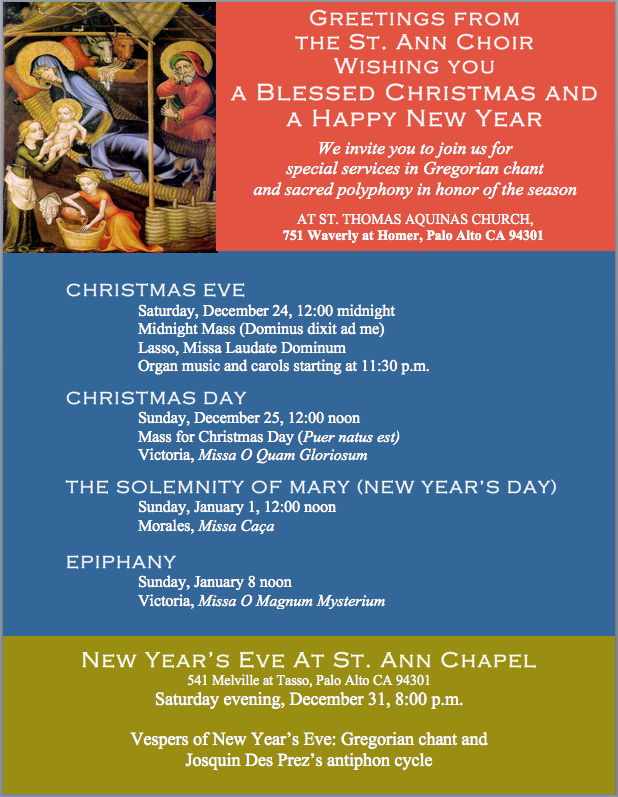 St Ann Choir Christmas Events in Palo Alto, California. The St Ann Choir will sing the following Christmas services at the church of St Thomas Aquinas in Palo Alto, California. Please note, however, that Vespers on New Year’s Eve will be held at St Ann Chapel, as indicated below and in the poster. Saturday evening, December 31: 8:00 p.m.